*STICKER SALE! 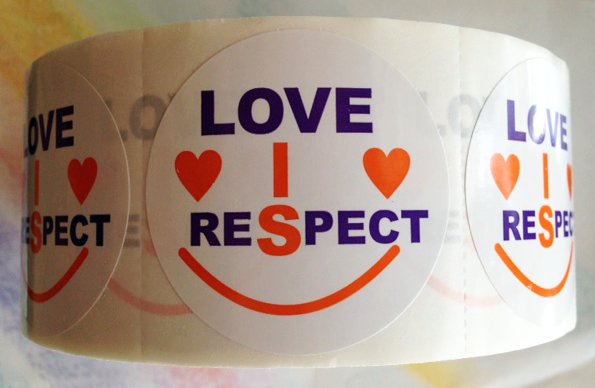 When you purchase any combination of *three or more rolls of our Teen Dating or Domestic Violence Awareness Stickers for the sale price of $48.95 per roll… you will also receive one of our Domestic Violence Awareness Posters….Free! 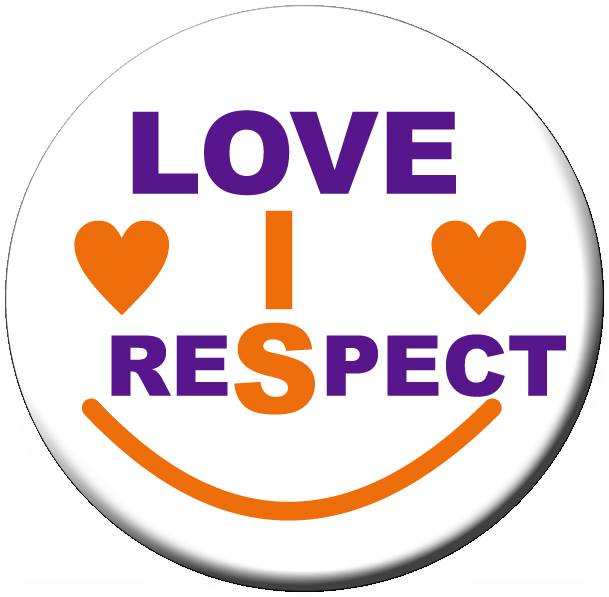 "Love IS Respect" 1 1/2" buttons only $0.50 each. See sale bags of buttons on more info page.